Scott Brown is up in New Hampshire. Update: West Virginia Senate seat just went from blue to red with a victory by Shelley Moore Capito. This is the first state this evening that the Democrats have lost. As the evening continues we will learn if the GOP will win the Senate and therefore take majority control out of the hands of Harry Reid and the Progressives. Yes, that sounds good and I am rooting for them. But let me remind readers, win or lose, real change will only happen as American's turn their hearts towards their Creator and stop living like He doesn't exist, as if we will not all one day give account. Yes, I am pulling for Republicans because I know that the Democratic Party has been virtually completed infiltrated by those with a anti-America agenda. At least traditional America. The Lord however, is my hope. -W.E. Early exit polls show GOP wins in KY, AR, CO, IA, KS, GA – if those hold, GOP Senate majority is certain. Watch VA – closer than expected. Early exit polls show GOP wins in KY, AR, CO, IA, KS, GA - if those hold, GOP Senate majority is certain. Watch VA - closer than expected. According to exit polls, there's only a point separating Gillespie and Warner. Oh. My. God. WOW! FOX News says Virginia is TOO CLOSE TO CALL!!! WOW! Voters give Obama low marks in the exit polls. 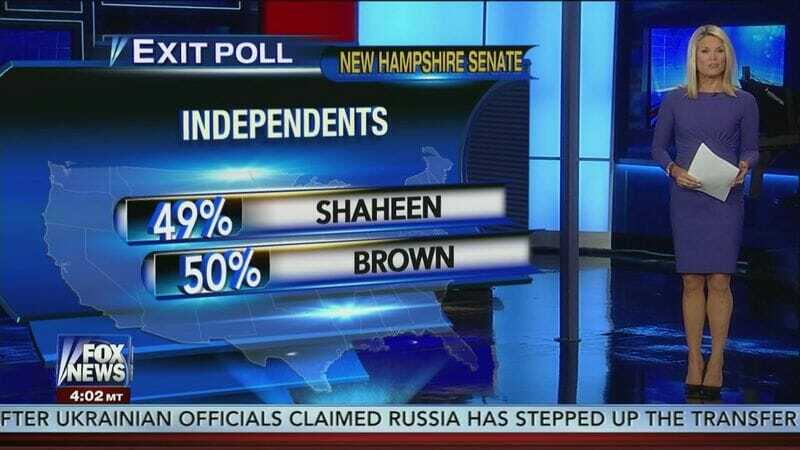 FOX News released their exit polling tonight.